Buckner's solo career began with Bloomed (1994), a lyrically-dense suite of songs recorded in Lubbock, Texas (produced by Lloyd Maines) and heavily influenced by that state's tradition of whiskey-soaked poet/troubadors. It was released when Buckner was the frontman of the band the Doubters, which was not achieving very much success at the time. In January 1996, while living in San Francisco, he recorded an album's worth of acoustic songs, all of which reappeared in more fully realized forms on his second and third albums. This CD was self-produced and self-released, and was sold exclusively at his early shows. Later that year, he signed with MCA Records, for whom he recorded two albums, both produced by J.D. Foster. Devotion + Doubt was released in 1997, displaying a more adventurous, almost avant-garde approach to songwriting and arranging, and featuring backing from members of the band Giant Sand, as well as Maines and Marc Ribot, among others. Its follow-up, 1998's Since, continues in this style, with an even greater emphasis on detailed production, this time featuring contributions from John McEntire, Dave Schramm, David Grubbs, Syd Straw, and others. Although these albums garnered considerable critical approval for Buckner, they did not perform well enough for his label, and he was released from his contract with MCA (whom he then nicknamed 'Musical Career Assassins') shortly thereafter. Since then, he has returned to recording for smaller labels, to continued critical acclaim and cult status. His 2000 album The Hill - his first for Chicago-based indie label Overcoat Recordings - features poems from Edgar Lee Masters' Spoon River Anthology (1915), which Buckner set to music. The album plays as a single track, nearly thirty-five minutes long. He returned in 2002, first with the "teaser" EP Impasse-ette, then a full-length entitled Impasse one month later. In early 2003, his self-released, self-titled album was reissued by Overcoat, and was his final release for the label. 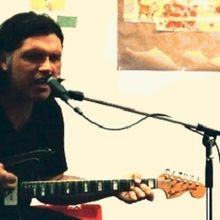 In 2004, an edited version of Richard Buckner's song "Ariel Ramirez", from the album Since (1998) was featured in one of the television ads for Volkswagen's Touareg. The song, in its original form, was featured prominently in the 2008 horror film, The Strangers. He is currently aligned with the North Carolina-based indie label Merge Records, who released 2004's Dents and Shells and 2006's Meadow. Between the two, he released an album with Jon Langford called Sir Dark Invader vs. The Fanglord (2005, originally recorded in Sally Timms's house in 2002) on Buried Treasure Records. 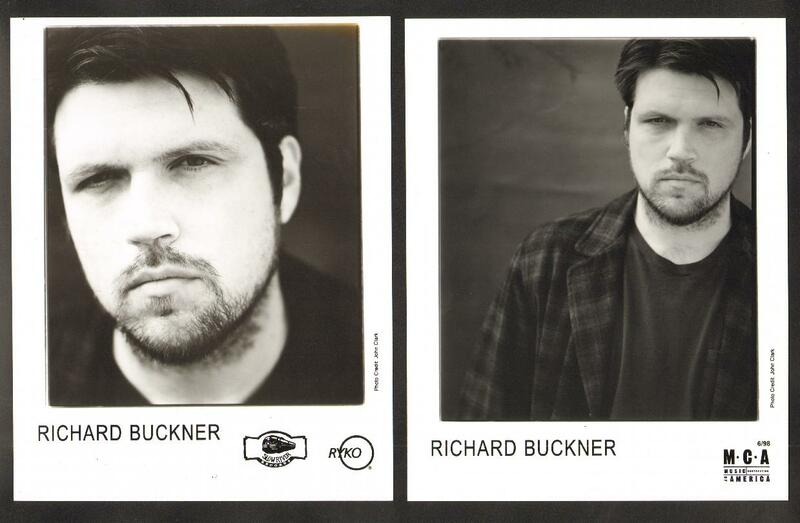 Merge Records released Buckner's album Our Blood on August 2, 2011. The album was licensed in Europe and Oceania to Decor records. Buckner latest album, Surrounded, was released in 2013 by Merge Records. ^ "Richard Buckner photographs". Web.archive.org. Archived from the original on October 27, 2009. Retrieved 2013-10-01. ^ "Richard Buckner hailed by Bon Iver as a big Influence releases his first new album in 5 years "Our Blood" September 26th on Decor Records". AAAmusic. 2011-07-16. Retrieved 2013-10-01. ^ Howe, Brian (2009-03-30). "Richard Buckner: Bloomed / The Hill / Impasse Album Review". Pitchfork. Retrieved 2018-06-06. ^ "Richard Buckner's 'Since'". NPR. 1998-09-02. Retrieved 2013-10-01. ^ Thompson, Stephen (2011-07-24). "First Listen: Richard Buckner, 'Our Blood'". NPR. Retrieved 2013-10-01. ^ "Merge Records Store". Mergerecords.com. 2011-05-18. Retrieved 2013-10-01. ^ "Richard Buckner Preservation Society". Richardbucknerpreservationsociety.wordpress.com. Retrieved 2013-10-01. ^ Fred Thomas (2013-09-03). "Surrounded - Richard Buckner | Songs, Reviews, Credits, Awards". AllMusic. Retrieved 2013-10-01. This page was last edited on 11 February 2019, at 00:46 (UTC).